An AdReaction Study from Millward Brown found that Mobile App Rewards Ads are most liked by the audiences. Skippable mobile pre-rolls at 31 percent are viewed much more favorably than mobile app pop-ups at 14 percent and non-skippable pre-rolls at 15 percent. Millward Brown’s study on multiscreen use and behavior was carried out among more than 13,500 consumers across 42 countries across TV, online video and mobile video ads. Digital’s share of total video minutes is higher at 56 percent among 16-24 year olds and lower 43 percent among 35-45 year olds. Consumers feel that they have more control over digital ads than TV ads, with the majority believing the laptop gives them the most control at 63 percent. This explains their irritation by online ad formats which fail to respect this control. Skippable pre-rolls at 34 percent favorability and skippable mobile pre-rolls at 31 percent are viewed much more favorably than mobile app pop-ups at 14 percent and non-skippable pre-rolls at 15 percent. 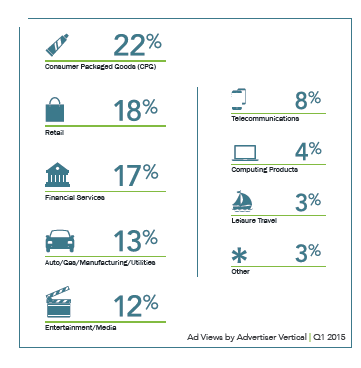 The most popular ad format is mobile app reward videos at 49 percent favorable. Consumers are slightly more receptive to viewing video ads while at home at 28 percent vs. while at work at 21 percent. 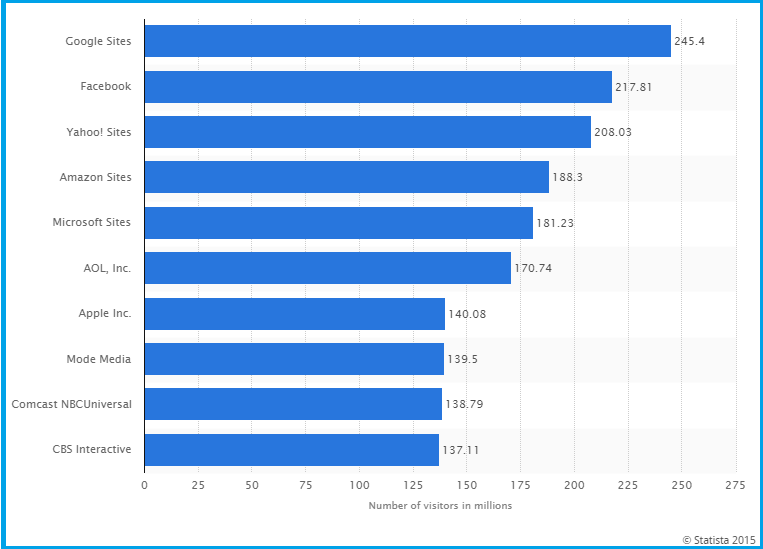 Distribution of Total time spent on Digital Video for different sites for the Top Digital properties, shared by Statista. The ad formats Click To View and Skippable ads are preferred by audiences as they are seen to give more control to the viewers. Click-to-play demands an initial frame that is compelling; an interesting image gets a much better click rate than a brand logo. With skippable YouTube ads, the first five seconds create maximum impact: after that, viewing drops to below half. 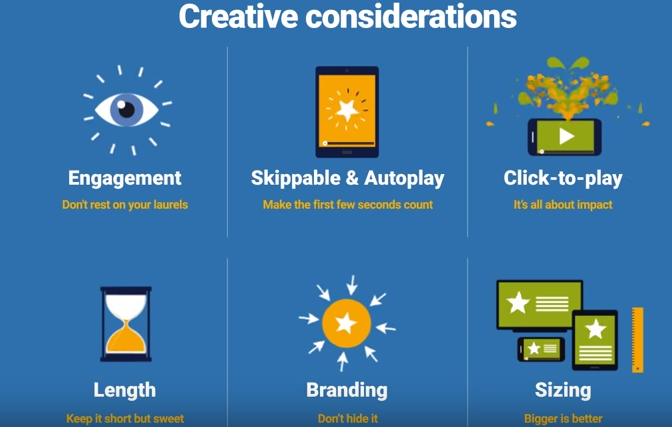 To retain viewers, Skippable ads must offer something impactful in the first few seconds. For targeting younger audiences Digital Video is likely to offer greater reach with 56 percent of video viewing share being Digital Video. Mobile App Rewards Videos are more favored by audiences making it important for advertisers to create a rewards or offer led creative for increasing brand engagement and conversions. Skippable Pre-roll ad format is most viewed and advertisers designing ads must pay attention to creative that is most engaging for the pre-roll format. Media buyers need to optimize bidding for the format. 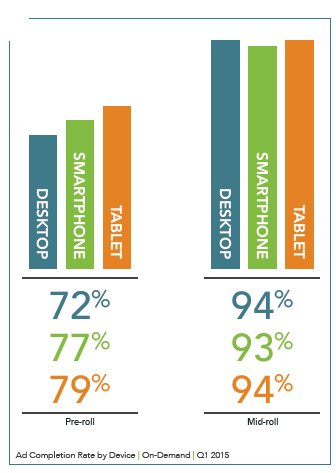 Ad Completion rates and Ad Views vary for devices, making it important for advertisers to plan campaigns with cross-device optimization. 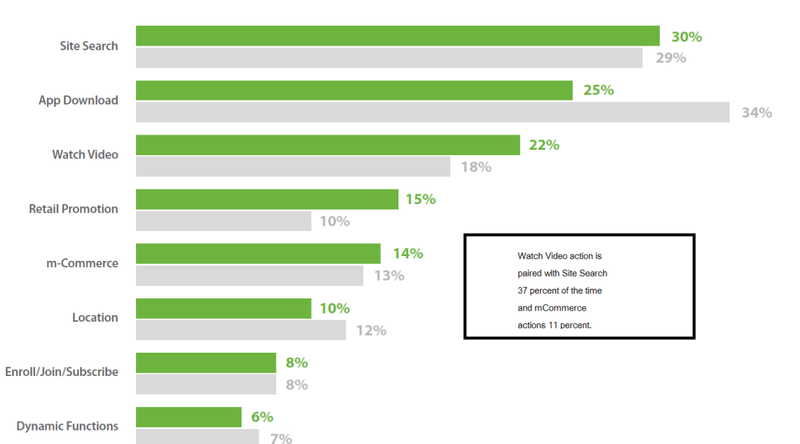 For different verticals engagement for Digital Video varies, making it important for Brands to optimize campaigns based on the next user action and the vertical. Here is a Checklist for Optimizing video Campaigns from Google AdWords. 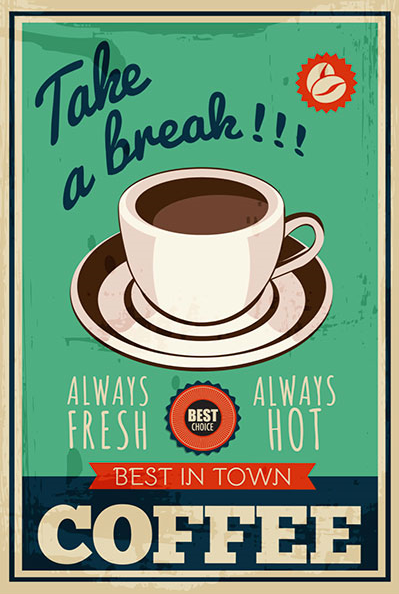 Posted in Advertising. Tagged advertising, Digital, Mobile, TrueView, Video Advertising, YouTube.